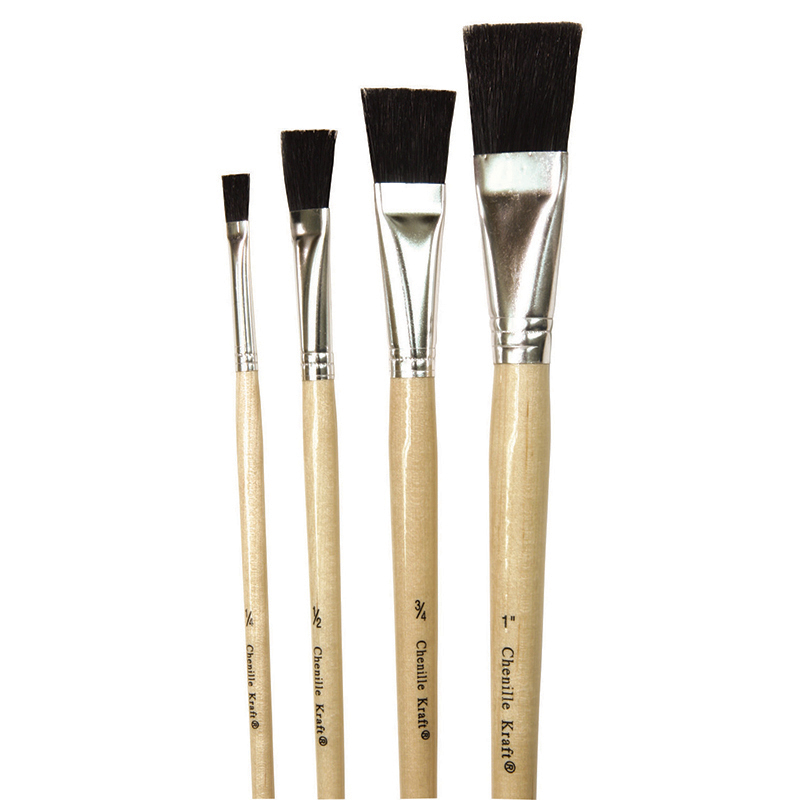 Long-handled easel brushes have natural wood color handles, aluminum ferrules and black bristles. 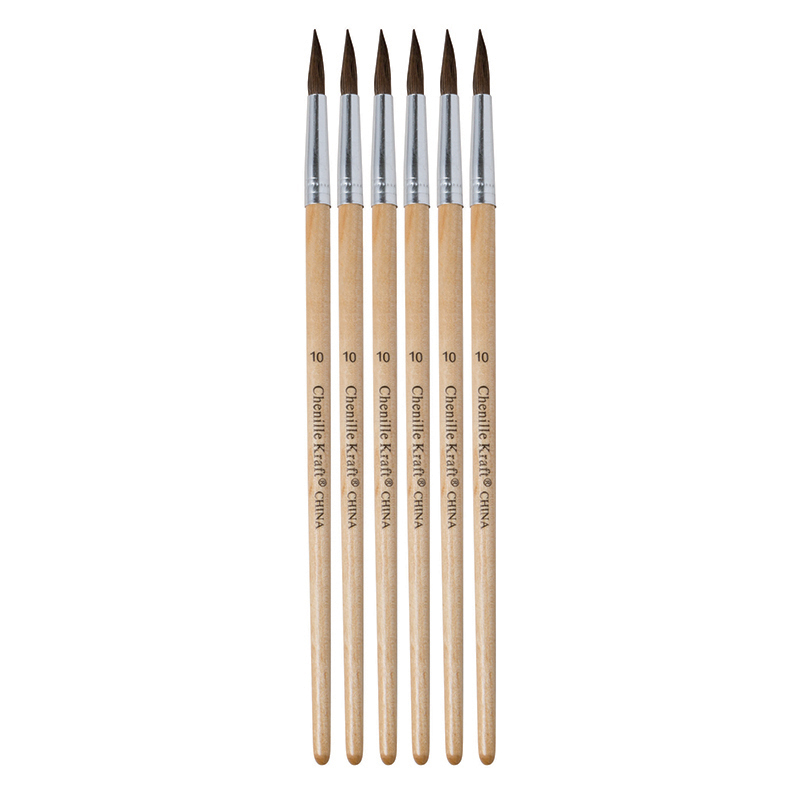 These brushes are great for tempera paints. Flat bristles measure 0.5". 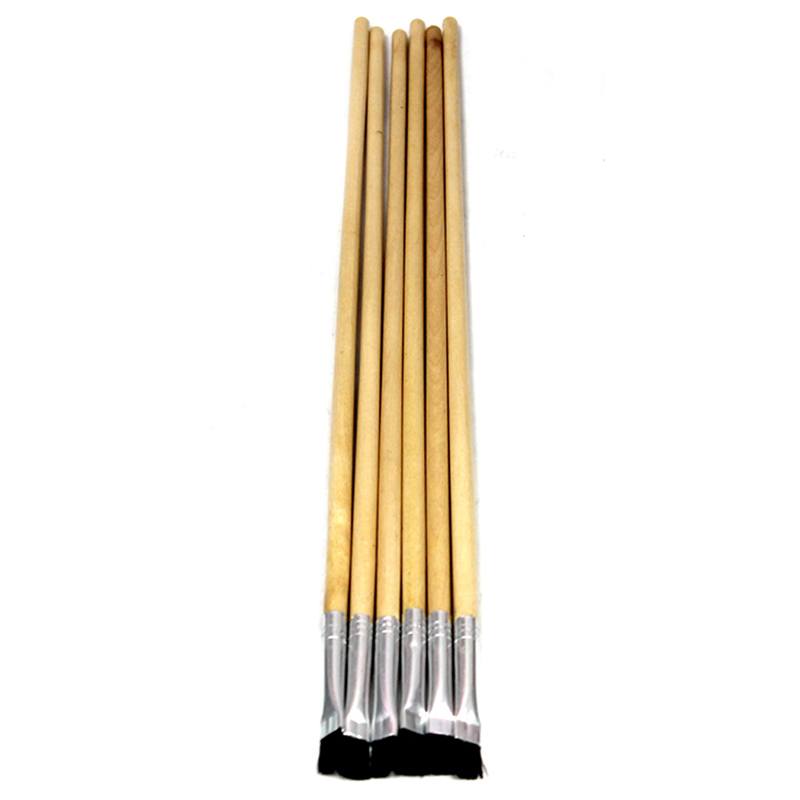 Each pack includes 6 long-handled easel brushes. 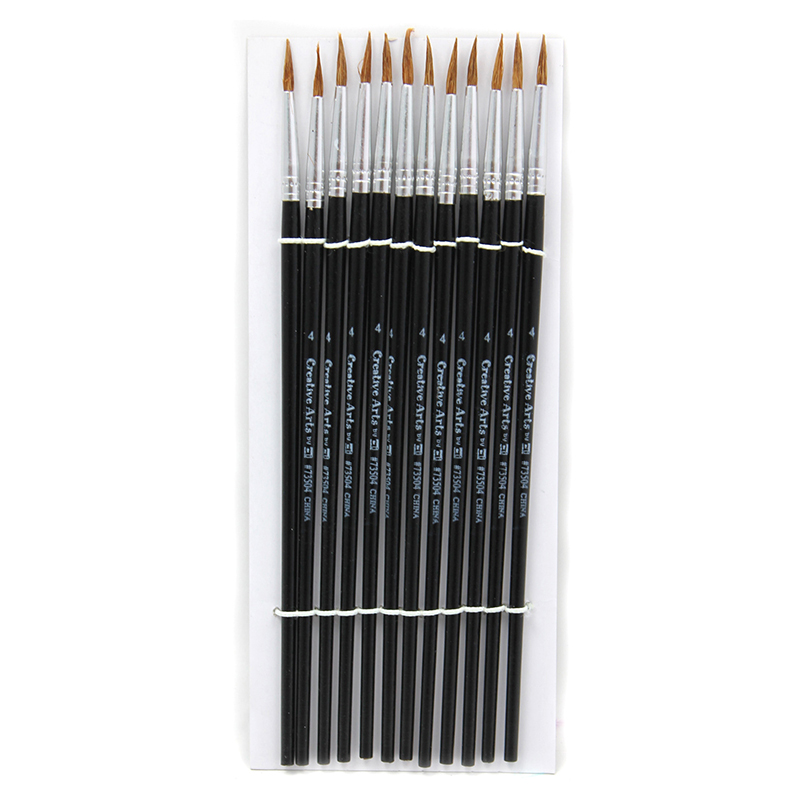 The Black Bristle Easel Brush 6-set1/2 W X 12 L can be found in our Paint Brushes product category within the Arts & Crafts. Perfect for use with all types of tempera paints. Each brush has a long, natural hardwood handle, aluminum seamless ferrule and natural black hog bristle that are flat and 1" in width. 6 brushes in each set. 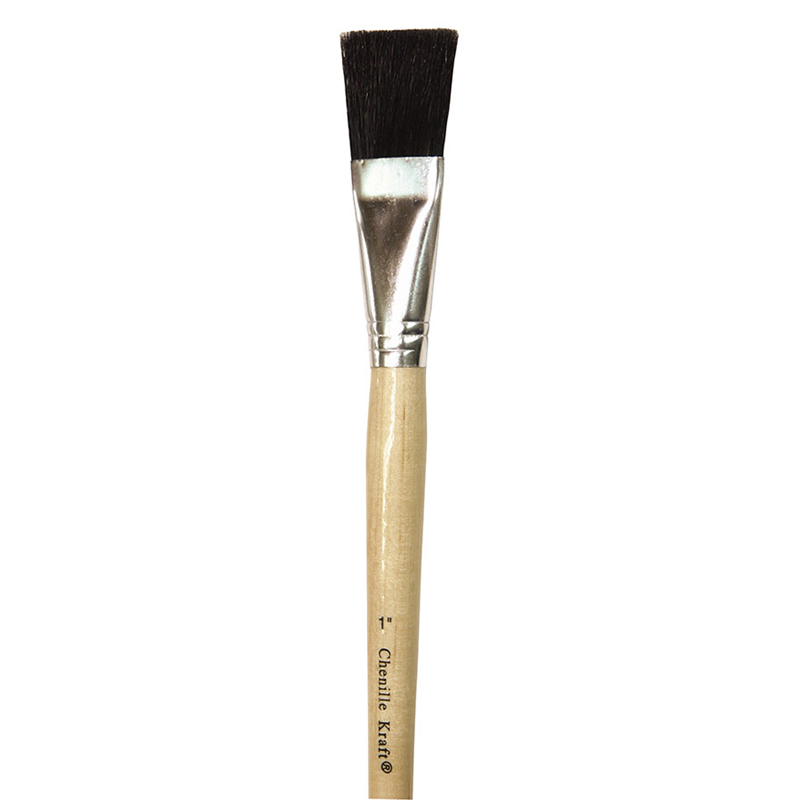 Long-handled easel brushes have natural wood color handles, aluminum ferrules and black bristles. These brushes are great for tempera paints. Flat bristles measure 0.25". 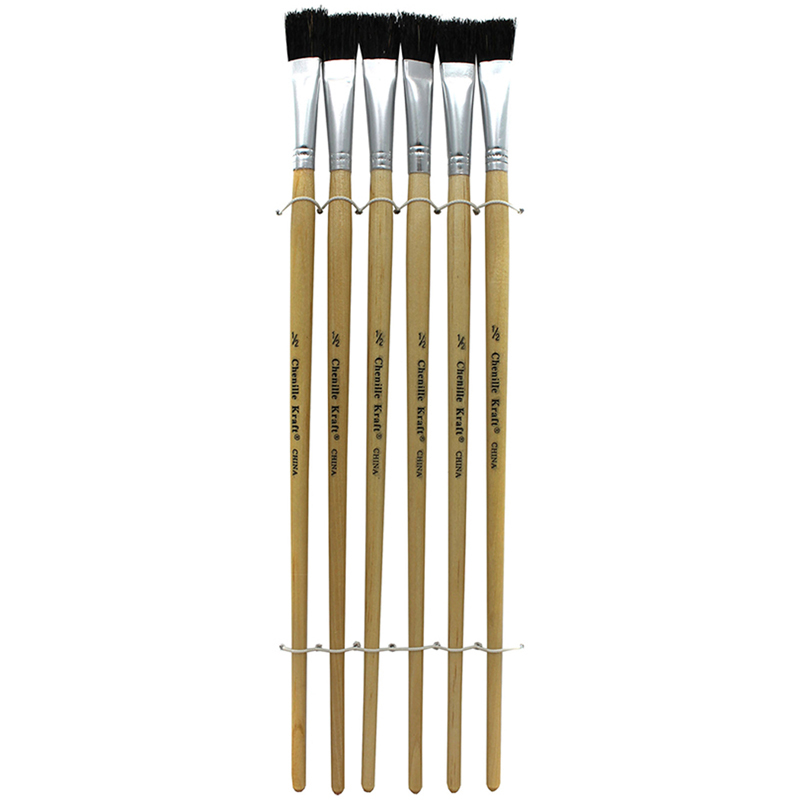 Each pack includes 6 long-handled easel brushes.